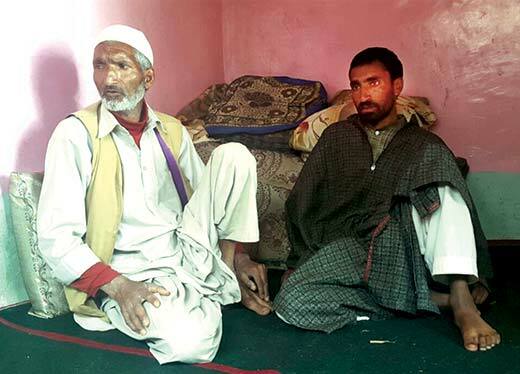 65 year old Ghulam Hassan Wani with Mohammad Akbar Hajam, father of Amir Akbar Hajam. On February 22, 2006 in Doodhipora, a small village in Handwara, around 100 kms from Srinagar, it was a usual winter day. The local playing ground, now turned into paddy fields, was filled with young cricket enthusiasts. Ghulam Hassan Bhat, an 18-year-old local bowling sensation, who had just finished his 12th standard exams, was charging towards the crease from the stream end. After every delivery, Hassan would adjust his black cap, which had ‘NY’ embossed on its front, before walking back. A small crowd of spectators, mostly Hassan’s friends and colleagues, who were sitting in a semi-circle around the pitch, were cheering and whistling enthusiastically to boost Hassan’s morale. In a corner, one of Hassan’s admirer and a regular spectator Samad Mir, 26, was clapping every now and then. “It was a treat to watch Hassan bowl. His bowling action was on par with any international bowler,” recalls Bilal Ahmad, one of the many boys playing cricket that day. He was 12 then. The western side of the field was guarded by a stream, when crossed, would take one straight to the paddy fields belonging to the villagers. On the other end of the field was a small hillock known as Tikri. “On top of Tikri was 33 Rashtriya Rifles’ Camp,” says Bilal. The camp was positioned in such a way that they could keep a tab on entire village below, including the cricket ground. But, unmindful of the eyes guarding them from Tikri’s top, Hassan and others were busy enjoying the game of cricket. None of them knew that within next few minutes the entire playfield would get drenched in blood. “Everything looked so normal and peaceful,” recalls Bilal. Suddenly, the noise of spectators was dinned by the approaching jackboots. “Before anybody could have reacted there were gunshots,” recalls Bilal, one of the many survivors. Akbar Hajam carries photo of Amir in his wallet till this date. They shot Samad Mir, the guy who was cheering for Hassan moments ago, and killed him on the spot. “Nobody saw wherefrom army men came. We were busy with our game,” says Bilal. Later Bilal and others confirmed to police that the army party was led by 33 RR’s Captain Nitin Dutta alias Ajaz Khan, alias Rambo. “He (Rambo) literary ruled our village like he owned it. Nobody dared to question his actions. He was untouchable,” says Bilal. After killing Samad Mir in cold blood Rambo and his men started firing indiscriminately towards the boys playing cricket. “It was one hell of a scene. I can never forget that day. Everybody was running for his life,” recalls Bilal who is now pursuing his bachelor’s in science. The safest place to run was beyond the stream and into the paddy fields. “I saw Hassan and other boys crossing the stream and run,” recalls Bilal. But amid the commotion and cries, two 9-year-old boys Amir Akbar Hajam and Shakir Hassan Wani, struggled to cross the gushing stream waters. “They were crying for help,” says Bilal. It was Hassan, the fast bowler, who came back for Shakir and Amir. He took them on his shoulders and began to cross the stream once again. But once he reached mid-stream Rambo and his men spotted them. “They emptied a whole magazine of bullets on Hassan, Shakir, and Amir,” says Bilal. Eighty-five-year-old Ahsan Mir, who is paralyzed on his right side, trying to gesture something using his left hand. While Bilal has made peace with his demons and moved on, the families of four victims killed on that day still waiting for justice. 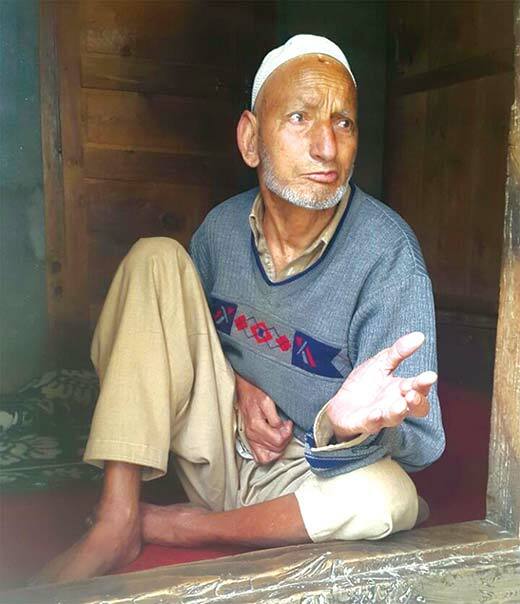 For Shakir’s father Ghulam Hassan Wani, last nine years have been full of stress and fear. “He was a bright student. I am ready to return whatever little compensation I was given to get culprits punished,” says Wani, pointing towards trophies Shakir has won at school. Shakir was studying in 3rd standard. Just a few paces away from Shakir’s house lives Amir’s father Mohammad Akbar Hajam. Inside the house, Amir’s mother Naseema, 32, is sitting in a corner surrounded by her kids. Amir’s death has added years to her appearance. Naseema, who is battling multiple health ailments and survives on medication, says she has lost the purpose of life the day Amir was killed. “I am alive because of my other kids. Otherwise, there is nothing to live for,” says Naseema. A walk around the village takes one to the house of Hassan, the bowler, who sacrificed his life in order to save Shakir and Amir unsuccessfully. Hassan is widely regarded as a hero in the village. Hassan was the second victim in his family who fell to bullets. The first one was his elder brother, a militant, who died fighting army during an encounter in the forests. Hassan’s mother Ayesha is sitting in the centre of the room surrounded by medals and trophies that her son has won over the years. “He was a bright student and good at sports. He has even trophies in Kabaddi as well,” says Ayesha with a hint of pride in her voice. But the pride soon gives way to pain as she is reminded of her two sons killed by bullets. “My elder son died for a cause he strongly believed in. It was his choice. So I am at peace with his fate. He was a Mujahid and I am proud of that,” says Ayesha. “But Hassan was killed in cold blood. He was young and bright. He wanted to be a cricketer or an officer. What was his fault? He didn’t carry a gun. Then why did Rambo kill him?” she asks amid sobs. 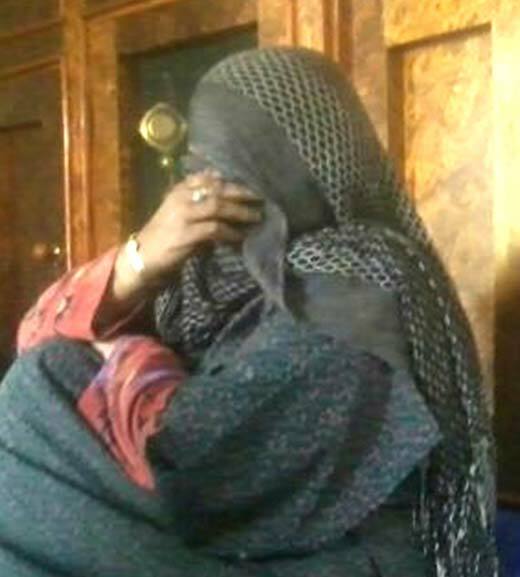 Ayesha, mother of Ghulam Hassan Bhat, wiping her tears while narrating the incident in which her son was killed. The tragedy has brought together all the four families in a special way. Whenever there is some news regarding the case Amir’s father Mohammad Akbar Hajam heads straight to Samad’s residence. 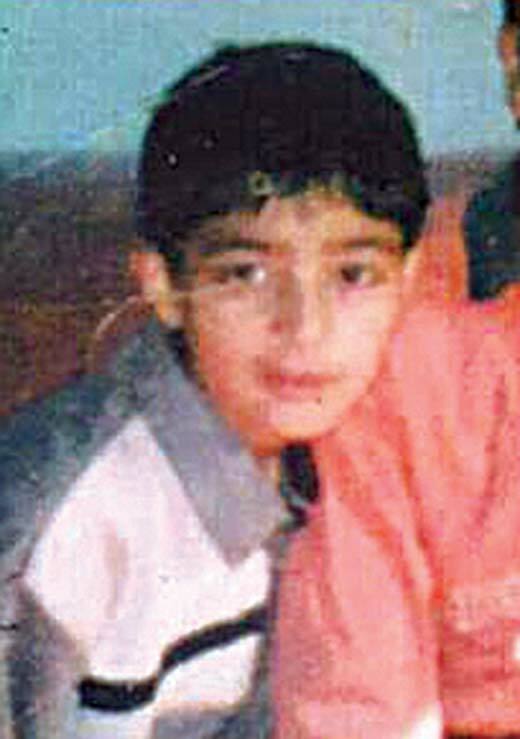 Samad’s was the eldest of the victims. His father Ahsan Mir, 85, is paralyzed on one side. Everyday Amir’s father drops by to check on ailing Ahsan Mir. “He is waiting for the day when Amir’s father will break the news that Rambo was hanged for his crimes,” says Samad’s sister who now takes care of the family. After Samad’s death, his family literally fell apart. “First his wife left with his kid and never returned. Then our mother left. She couldn’t bear the pain of his death. She now lives with her brothers,” says Samad’s sister. It is believed that Samad used to meet captain Nitin alias Rambo on and off. “He (Rambo) was Samad’s friend. I don’t understand what made him to kill my brother. He was not a militant,” asks Samad’s sister. Nd More ever I m proud of Bilal ….Love u Bro..
Ahhh..Realy Very painful movement for me..
After passing years i remember the whole scene which i cant forget.. The pain i fell at that time is sme at this time when i read this story..
U knw it iz very tough for me to forget these memories which i spent vd my sweet bro.Gh .Hassan shaheed..
MAY GOD REWARD THEM HIGEST PLACE IN JAANAH..